Selling businesses can often be a difficult and lengthy process. Once we have gone through the process with our client of appraising their business and preparing it for sale, drafting and producing sales particulars and uploading it to the various websites etc., the big day arrives when the business is finally introduced to the market and it is officially for sale, ready for a member of the unsuspecting public to snap up straight away! When we take instruction from a new client to sell their business, we do so only because we believe in the business and we believe that it will be possible to locate a purchaser for our client within a reasonable time frame. Regrettably however, it is not always possible to locate a purchaser quickly for even the most attractive business opportunities; sometimes the process can take many weeks, months or longer. This can be dependent on any number of factors, ie general market conditions, the economy, national and international affairs and the political landscape etc; even major sporting events such as the Olympics or World Cup can have a negative impact on levels of interest generated in businesses offered for sale. Sometimes, there can be no logical explanation in respect of why a business takes longer to sell than we expect; it is simply how it is! Whilst these factors are naturally beyond our control, we do of course retain absolute control over our own conduct throughout the marketing and sale process. Regardless of market conditions and outside influences we continue, without exception, to do our job diligently, effectively, enthusiastically and, above all, professionally. Here in our Sheffield office we have a very high success rate and, providing a business is valued realistically and marketed effectively, there is a high probability that we will successfully source a purchaser for our client. Hopefully this will happen in the short term but sometimes it can take longer. In fact, the longer a business remains on sale, the more important it is that we continue to do our job properly, which of course we do – without exception. Regardless of whether the sale of a business takes one week, one month or one year to achieve, our clients are able to rest assured that we are committed to them fully throughout. Their business will never be disregarded or placed ‘on the back burner’, and we guarantee that we will always continue to do our very best for them, no matter how long it takes. 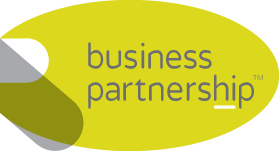 Working with his wife Beverley, Greg is the longest standing member of Business Partnership team, and helps to facilitate the sale and purchase of any and every type of business. Greg & Beverley operate in Sheffied, Rotherham, Barnsley, Doncaster, Chesterfield, Mansfield, Worksop, and the Derbyshire Peak District.